According to the Daily News, a recent report by the International Bridges, Tunnels, and Turnpikes Association, New York and New Jersey commuters pay $4 billion in tolls (out of the $13 billion collected in the entire country) every year. The report attributes the high cost to the tri-state area having the highest concentration of bridges and tunnels, and commuters themselves. 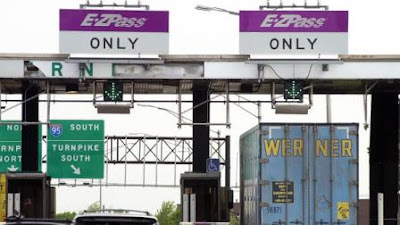 The NJ Turnpike Authority collected the most revenue, coming in at $1.42 billion in revenue, with the Port Authority of NY & NJ coming in second place with $1.33 billion in toll revenue. While there is a high concentration of bridges/ tunnels/ commuters in our area, the tolls themselves are undeniably steep. Crossing the Verrazanno costs $16, while all Port Authority crossings cost $14, AND the next round of Port Authority toll hikes are set to take place December 1st.